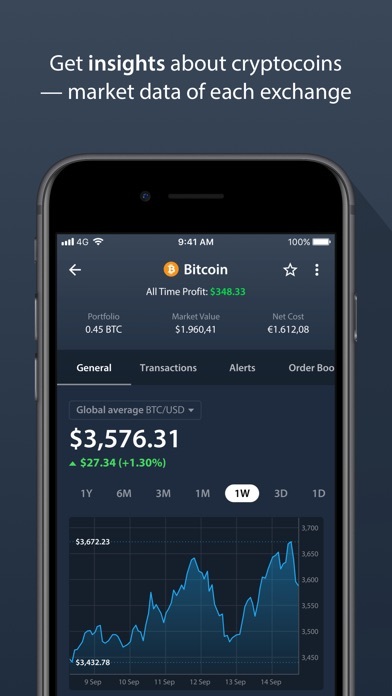 Tried to make the switch from Blockfolio but I’ll be going back. After several hours I cannot get the Delta numbers to reflect my actual holdings. Why when I scan my public bitcoin address is the number different in Delta? 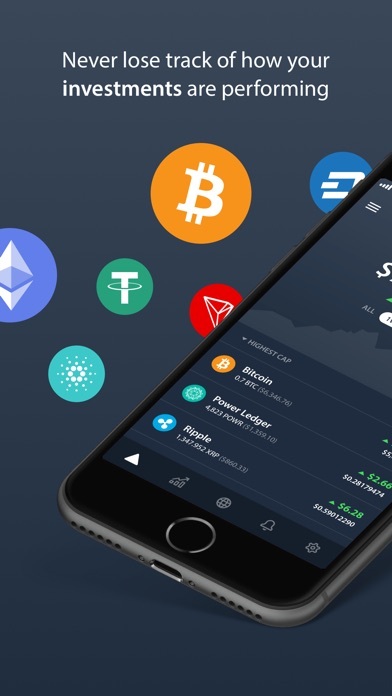 Also, does not support exchange connection to Gemini. Did the manual CSV import but that just threw the numbers off further. At least they offer a trial period so nothing is lost. 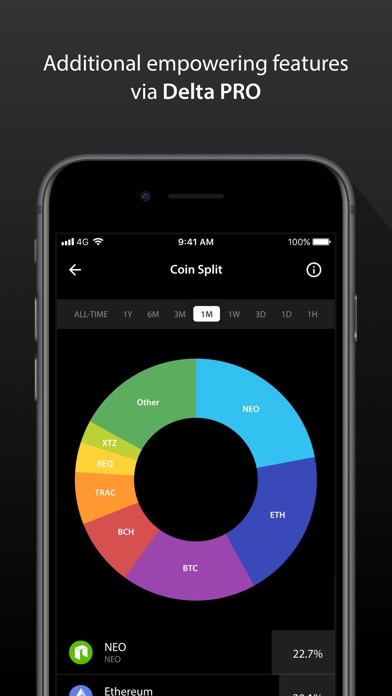 Blockfolio may be more rudimentary but it least it’s accurate. 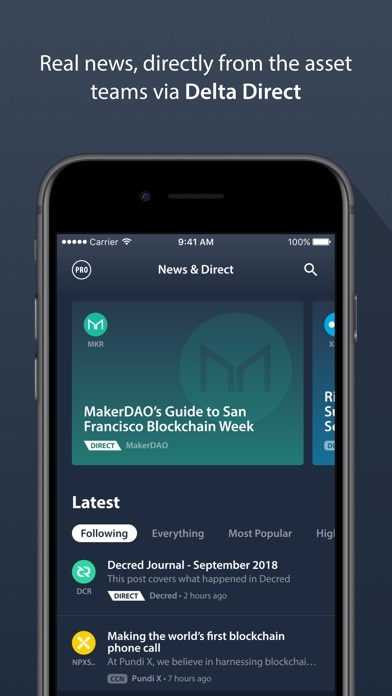 Updated review: the other app (mentioned in prior review) has same glitch, except with Delta you can force a refresh with the exchange. Review updated to 4 stars -- Dang, I just found another app like Delta except without the glitch. Really sorry, get that glitch fixed and let's talk soon! Two prior reviews below -- huge glitch! 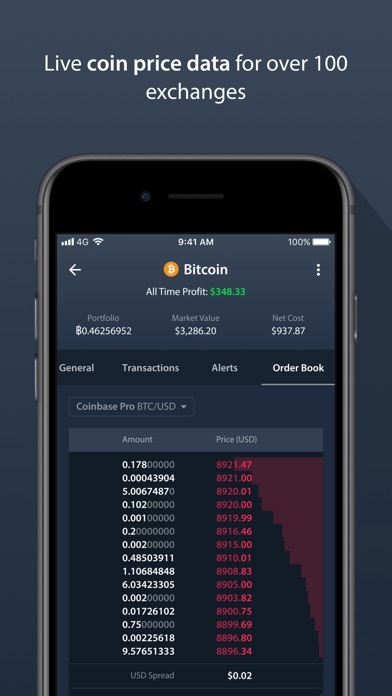 The pull-down-refresh will not update any trades - you have to click "manage exchanges", click the refresh icon, and THEN wait for a few minutes, and when you refresh it will update trades. Please read prior review because I still use this app! It's just not working as advertised, sadly. 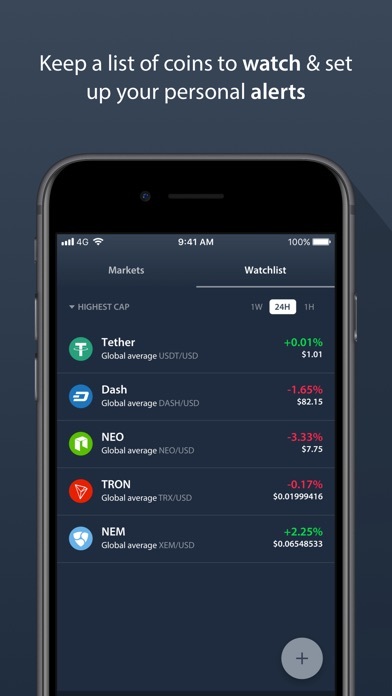 -- I had this app for months but never inputted my binance API credentials. I don't know why I just randomly clicked on it the other day but next thing you know, I setup my credentials and BOOM! 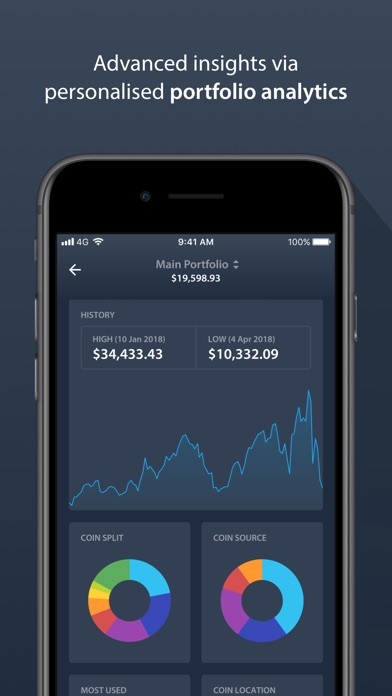 Holy crap, my entire portfolio, all my trades, info about each trade I'm currently in, notifications for significant price changes for my current trades, whether I want to view the global average or a specific exchange rate of a coin/pair, watchlists.... Let's just say I lost track of time and I'm actually planning on focusing more energy into crypto thanks to this app. Whew. Good looking out Delta, this was a well needed gift. I am refreshed. On my todo list to write a free open source version. Otherwise a top notch app. 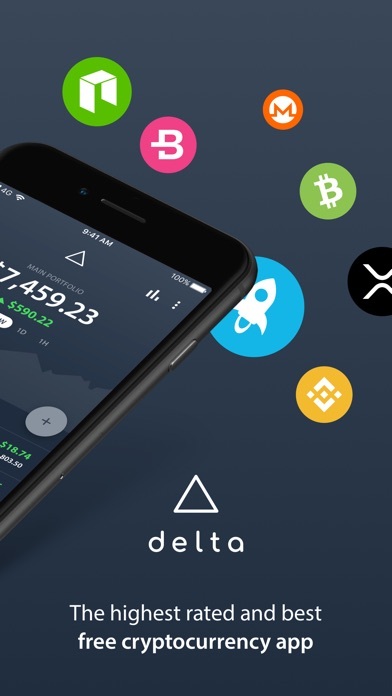 The Delta app is very easy to use. You get the analysis you need in an easy to digest way. 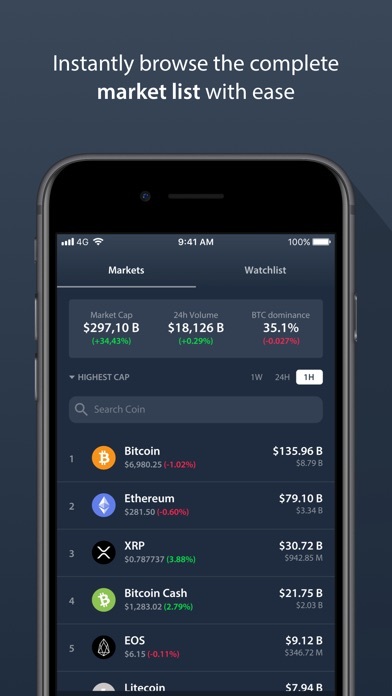 This app is my daily go to as I track my crypto investments and watch the market. Awesome app! Live prices and iPad Pro support. Great app. Impressed with quality updates. Randomly stopped getting notifications for no reason. Confirmed notifications are enabled. Delta FAQ says this can happen and to delete and reinstall the app. 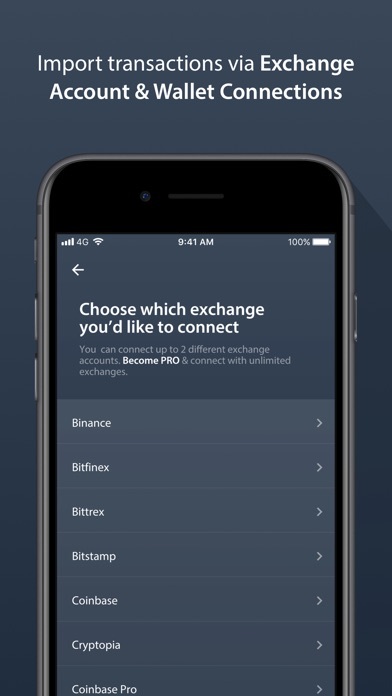 Did that and when I went to re add my exchange accounts, it imported all previous transactions, which many are duplicates of my own manual transactions that were entered, plus the API transactions that were already on the Delta app from the first time I added an exchange account. So now I have all these duplicate transactions that are throwing everything off and I can't even begin to sit down and manually go through every transaction I've ever done since 2016 to fix it. It totally screwed everything up. F this app it has too many dumb flaws like this. No way to undo this without completely wiping the account and starting over from scratch but I'm not about to begin to manually enter every transaction since 2016.